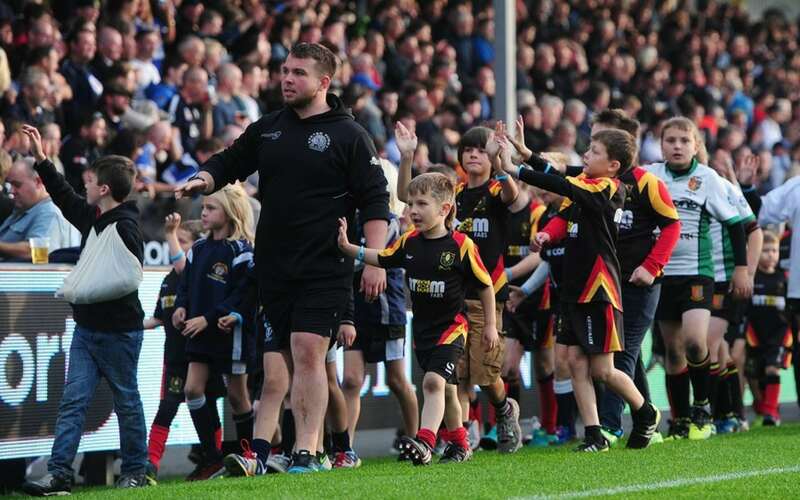 Experience the ultimate day out with the Exeter Chiefs as we invite you to be part of our amazing Super Saturday programme. 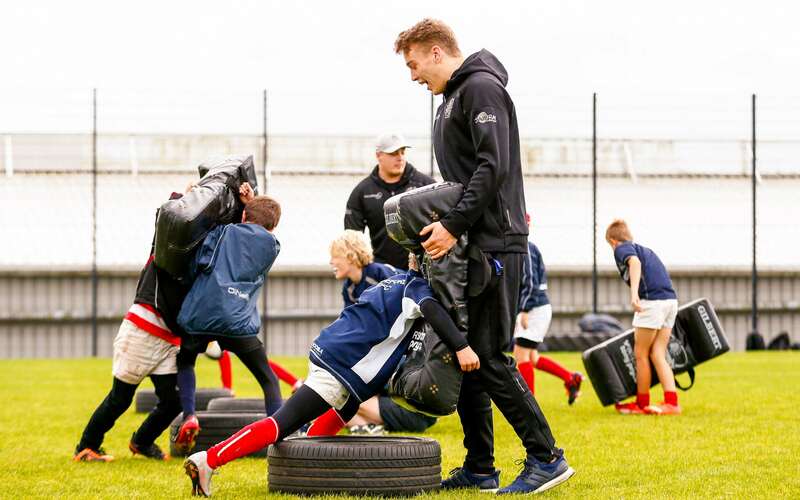 Whether it be for an Gallagher Premiership, Heineken Cup or Premiership Cup fixture, our Super Saturday programme not only offers you the perfect insight to life behind the scenes at the home of the reigning champions on a match-day, but youngsters from rugby clubs, schools or other organisations can get to learn from the best as members of our first team squad offer hand-on coaching tips during a fun-filled morning of activity. 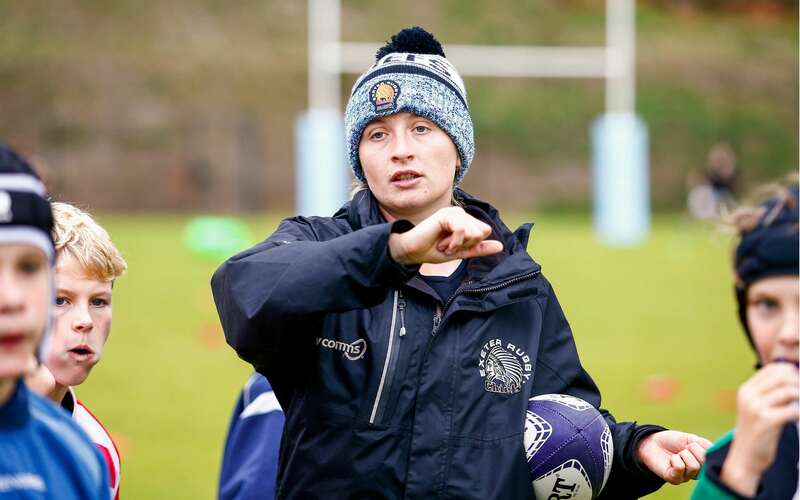 If that is not enough to whet your appetite, you will then get the chance to watch the Chiefs in action themselves, tackling the elite of the English and European game. Watch all the pulsating action from prime seats in the SW Comms Stand, before assembling just ahead of half time to take part in our special half-time parade, where you and your club-mates get the chance to lap up the famous match-day atmosphere. Then, following the final whistle, line the touchline and get to meet more of our first team stars when they come pitchside at the final whistle to meet with their army of supporters to sign autographs and pose for pictures. Entering into what will be our ninth year, the experience continues to get better and better for all those who choose to sign up to what is a magical day out. All of the above is included in the Super Saturday at the price of £31 per person. All tickets will now be booked through our online ticketing system, with seats being reserved for each club, to reserve please contact Andrew Dudley who will take you through the booking process.